I’m sure you know how much of a powerful marketing tool Youtube can be for your music, so I won’t go into that here. What I do want to talk about today though, is one very powerful strategy you could use to get your video exposed to a lot more people than usual. What’s more, it’s even easier to implement then doing Youtube cover songs. 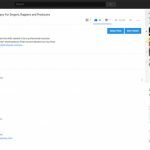 Publish your videos to an established Youtube channel which has a lot more subscribers and a bigger audience than yours! Today we’re going to look at how this strategy works, and why it will benefit you. 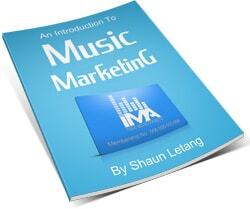 If you find the information useful, please share this guide with your music making friends. Note: This is an advanced strategy which should be used in conjunction with the more traditional ways musicians can get more views on Youtube. How Many Of Your Videos Should You Publish On Other’s Channel Compared To Your Own? Should You Publish Your Video In Multiple Places? So, I’m suggesting you publish some of your videos on other people’s Youtube channels instead of your own. Why? Because these channels have a much bigger audience than you, and can get your music video out there a lot more than you could by yourself. If you have say 100 subscribers or less, getting your video on a channel with 5000+ subscribers will give you a much better head start right out of the gate. And if a channel is willing to publish your video, it must mean their audience is largely targeted to the style of music you make. As well as getting a head start in terms of more people being notified of your new video and effectively more people finding it, think about the audience that you’ll now be reaching. While releasing your video on your channel will reach any existing fans you have, putting it out on a different platform will get you in front of a new group of people who many not have heard you otherwise. You now have the opportunity to make a new set of fans in a very short time span. As you can see, uploading your videos for other channel’s audience does have its benefits. But how do you go about getting other channels to upload your video? How many of your videos should you publish on other people’s channels? And should you also publish them on your own channel as well? I answer all of these questions below. First though, let’s look at a few examples of these channels. Here are a few quick examples of the kind of thing I’m talking about. All of them are run differently, and have different requirements for you to be showcased on them. So do your own research. 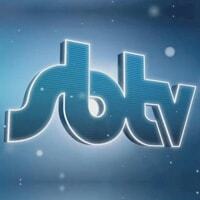 SBTV is one of the biggest channels of this type in the UK. It originally started out as a channel showcasing Grime artists, but has since covered videos for many of the world’s biggest musicians in all different genres. It mainly focuses on ‘urban’ music and acts. 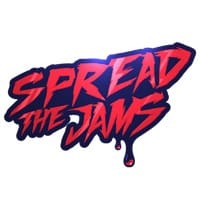 Spread The Jams is a channel which focuses on showcasing Electro, Drum & Base, Dubstep and the like. You don’t need a video made to showcase your music on this channel, instead you just need the music. They’ll create the video using a personalized picture. Radar is a slightly different example of a channel you could be showcased on. They showcase videos which were started out using their website. So while it won’t be as targeted for all genres of music, if you use their service to help you make a music video, they can still send you some new views. There are a lot more of these Youtube channels out there in all different genres, so have a look around. Before I can answer that, let me explain what kind of people will allow you to put your videos on their Youtube channel. You can’t just message a big musicians in your genre and ask them to host your video, it doesn’t work like that. Chances are, if a channel doesn’t already host the videos of multiple musicians, they won’t host yours. Instead, you want to look for channels which are clearly open to hosting other people’s videos. 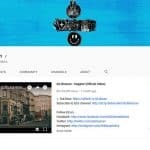 These channels aren’t usually run by musicians themselves, but were started out by music lovers or companies involved in your genre in some way. They benefit from hosting your videos as they get attention / a powerful platform / social influence / money from advertising (varies from owner to owner), and you benefit as you get to showcase your video to their already established audience. The first thing you need to do is find these channels in your genre. You can do this in a number of ways. Hopefully you already know a fair amount about the genre you make music in, so you might even know of one or more of these channels. If not, start doing your research, and see where the semi known and known musician are releasing their videos. Start out by searching one artist on Youtube, looking through the list for all their official videos, and seeing if they’re published across more than one Youtube channel. If they are, have a look at whether or not this channel also publishes videos for other artists. If so, is their audience big enough to make it worth you publishing your video there? Look around using multiple musician as search references, and hopefully you should find a number of channels which you could potentially approach. Once you do, approach them. Usually looking around the channel’s profile page will bring up a website or some kind of contact details you can use. If not, search them in Yahoo or Google and see what contact details you can find. If neither of the above work, contact one of the acts they featured, and ask them how to get in contact with them. Some people won’t be willing to give you this information, but chances are some will. So, let’s say you find a really big channel which is willing to showcase all your videos. Should you take them up on this offer? Well, unless there’s a really big incentive to do that (e.g they’re paying you nice money and can guarantee good exsposure), then no. You do add a few videos on other people’s channels, but you also want to work at building up your own channel too. After all, you’re only using their other platform as a stepping stone to get people to know about you. The last thing you want is all of your material going on someone else’s site and you not having much control of the majority of your content. So while you should definitely use these platforms and publish your videos on other channel here and there, still focus on building up your own channel too. While it’s up to you, I’d say aim to have 50% of your content on other people’s channels. As yours gets bigger and have more power yourself, you might want to lessen this number. If you’ve recorded and edited a video which a channel has agreed to host, should you also publish this video on your channel? Most likely, no. Instead, keep it exclusive to this channel, and promote it yourself using the link to their page. There are a few reasons for this. First of all, you want all the promotional efforts to be focused. You’ve a much better chance of your video going viral if you’re all promoting a video in the same location. If you have two versions of the video, your promotions will be split between the two, and in affect diluted. Another reason is because you want to build a good relationship with the owner of this channel. If you simply put a video up and don’t push it in any way (or even worse act like your main focus is pushing the video on another platform), the chances of them taking more of your videos in future decreases. If on the other hand you’re fully promoting the video and their channel, they’re more likely to help showcase your song and accept any future videos you may offer them. It’s worth keeping a good relationship with the owners of these channels, as chances are some of them will keep getting bigger the longer they’re around. Keep uploading your videos on these channels and this will directly benefit you. So there you have it, one way to greatly increase the amount of Youtube views you get. Is this a strategy you’d personally use? And if you already use this strategy, how has it gone for you? Do you know of any good channels people can upload their videos on? Share in the comments.